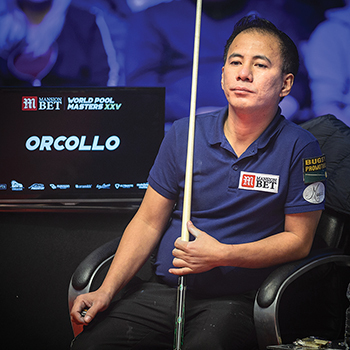 Recently, Billiards Digest featured a story about how top players handle themselves when they are not shooting. Some players offered good insight into the mindset you have to have when you are sitting in your chair while your opponent shoots. I will add to that discussion. You may think that you are powerless once you miss a ball and have to sit down, but I truly believe that you can actually win a match from your chair. If you believe in your ability to win, it doesn�t matter what else happens at the table. If you stay calm and focused, you will be in a position to win once you get back to the table. Of course, you can also lose a match while sitting. I see players punish themselves over mistakes, creating a negative mindset that festers into their physical game. Players get anxious waiting for their opponent to make a mistake, instead of staying calm and focused. When I miss a shot, the first thing I do is accept the fact that I messed up and I make up my mind to move on. Lots of guys will miss game-winning shots and get angry with themselves. When they eventually get back to the table they will miss again because they are still dwelling on their previous miss. The second miss is often the product of simply shooting at the first available option instead of taking the time to breath and properly assess the table layout. One way to get yourself back into the game is to run over your checklist of fundamentals. Are you setting up correctly? Are you staying down on the shot? Is your backstroke and stroke acceleration smooth? Use constructive thinking. It helps keep negative thoughts in the background. Also, while you are seated, calmly diagnose your miss. You will be better prepared for your next trip to the table. I also use my opponent in my preparation. If he makes a good shot, I think, �Good for you, but wait and see what I can do when I get to the table.� You can really energize yourself that way. In the end, I pose two questions to myself: Am I ready to win? And do I want to win badly enough to do whatever it takes? If the answer to both is yes, I know I�m ready to play again.